DFU Mode vs. Recovery Mode: What are the Differences? DFU Mode and Recovery Mode are the failsafe methods of refreshing iOS devices for users, and these modes can actually do more than just refreshing. There are lots of other things that users could do with DFU Mode and Recovery Mode, and in some aspects, they have similarities that people easily confuse. Therefore, if you would like to know what the differences between these two modes, here is a comprehensive article about it. DFU Mode stands for Device Firmware Update Mode, and it is used for making low-level modifications to iPhone software. When your iPhone enters DFU mode, it means your iPhone is actually on, but it is not booting up the operating system. Therefore, in this mode, you can make modifications to the operating system. 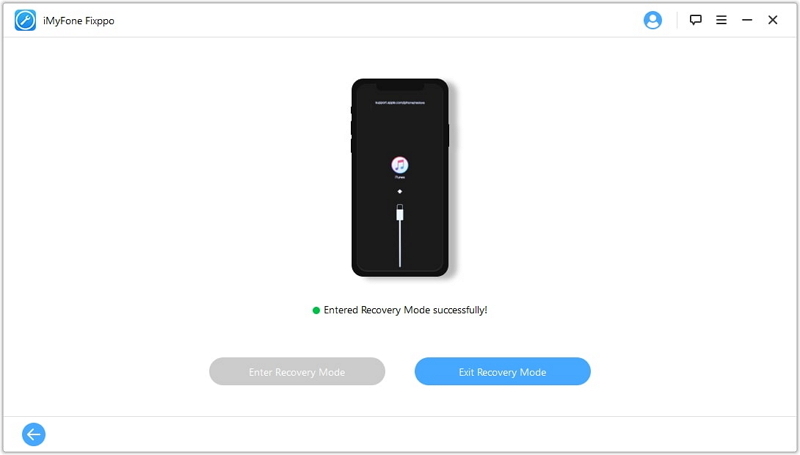 iPhone Recovery Mode is also known as the restore mode, and it is the mode through which you get your iPhone to interface with iTunes on your computer. This mode allows you to restore your iPhone, but you can only do that with the latest firmware of iOS version. iPhone recovery mode deletes all of the content on your iPhone and returns your iPhone to how it came from the factory. Hence, before you try out this mode, you should make sure your data and files are backed up. If you do not have any backup files and you lost your data regardless, an iPhone data recovery tool can recover any lost data. While trying to understand the differences between DFU Mode and Recovery Mode, you will probably have seen where users use Recovery Mode to upgrade their iPhone’s iOS version of fix some system problems. Some further system problems that you can fix with Recovery Mode include. iPhone stuck on white Apple logo screen and unable to boot into the iOS. iOS device continues to restart over and over again. With DFU Mode, on the other hand, you do not have to boot your iOS devices before you will be able to make changes to the system. DFU Mode allows you to fix any problems that you could not fix with Recovery Mode. The DFU Mode is more comprehensive and advanced than Recovery Mode. Also, with DFU Mode, you can upgrade or downgrade your device to enhance its performance. You should, however, note that DFU Mode is the best for downgrading your device and not Recovery Mode. Some users also use DFU mode to jailbreak their iPhone or unlock the SIM. Looking at DFU Mode Vs. Recovery Mode, they are two entirely different things. DFU bypasses the OS installed on your iOS device, and you can upgrade or downgrade your OS with it. If you are unable to restore using iTunes then, DFU mode is the best option you should consider. Press the power button and hold for about 4 seconds. Press and hold the power button and home button simultaneously for another 15 seconds. Keep pressing down the home button after releasing the power button. Simultaneously press-hold both the power button and home button. After some seconds, the Apple logo will appear, and your iOS device will reboot. Your iOS device will get out of DFU mode after following these steps, and if you need to fix a problem with your device, you can restore it with iTunes. 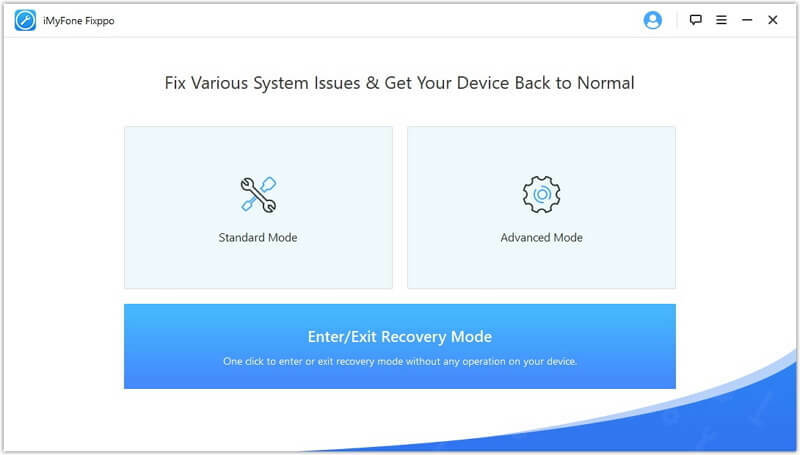 You can enter or Exit recovery mode in two ways: either you do it through the standard method or using iMyFone Fixppo. Connect your device to your computer. Launch iTunes. Press the home button and power button to shut down your device. Do not release the home button then, connect with a USB cable until your device is on. Turn off your device by pressing the Home and Power button. Boot your device by pressing the power button. If your iPhone or iPad gets stuck in Recovery Mode, the solution out of this problem is to use iMyFone Fixppo, a reliable recovery tool that can be used to fix different issues in iOS devices. Whatever iPhone issue you may be facing, with Fixppo, you are guaranteed of getting it fixed, and the good thing is you can also fix your device without losing data. It makes use of exclusive technology to fix your device without erasing your data. Get your device into and out of recovery mode in one click without losing data. It can fix a verity of iOS issues like iPhone stuck in recovery mode, iPhone stuck on Apple Logo, black screen of death, iPhone refusing to start, iPhone stuck on loading screen, etc. It supports all iOS devices including the new models and also the latest iOS version. iMyFone Fixppo allows you to enter and exit recovery mode on your device in one click without data loss. It is a very efficient method, and the steps to do this are highlighted below. Step 1. Launch iMyFone Fixppo. On the main interface, choose “Enter/Exit Recovery Mode”. Step 2. 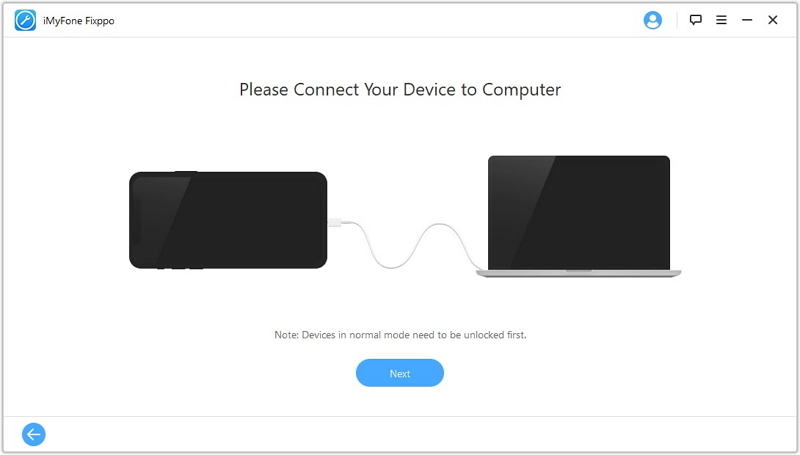 Connect your device to your computer. Click on “Next” to go to the next step. Step 3. “Exit Recovery Mode” will become clickable and your device will Exit Recovery mode once you click on it. Knowing the differences between DFU mode and Recovery mode is vital so that users can know when to use them and what to use either of them for. iMyFone Fixppo is a reliable tool to enter and exit recovery mode and DFU mode without data loss. Get your copy of the software tool today.